DHCP Dynamic Host Configuration Protocol (DHCP, currently implemented as DHCPv6) is a client-server networking protocol. A DHCP server provides configuration parameters specific to the DHCP client host requesting, generally, information required by the client host to participate on an IP network. DHCP also provides a mechanism for allocation of IP addresses to client hosts. Full Microsoft DHCP configuration manual is available at the WTware site. Information about WTware DHCP service configuration is available here. These two parameters are quite enough to boot terminal by network. Thus server script through GET parameters will determine architecture, MAC, ip (important if terminal is outside NAT), WTware version and terminal hostname. 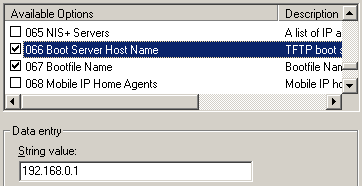 Received from HTTP server config is added after ordinary config. It may cause problems when screens and/or connections are specified in both configs. It's better to place screens and connections into one of these configuration files. You may use it without new DHCP parameter configuration. 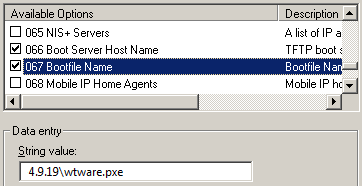 Instead of 179 DHCP option you may specify the same value in dynamic: parameter in the file Everyone/source.wtc. WTware DHCP may work through built-in router DHCP Relay. 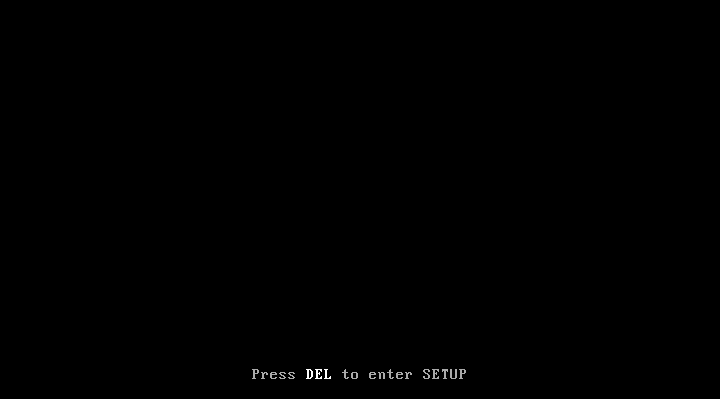 Before configuration firstly boot terminal. 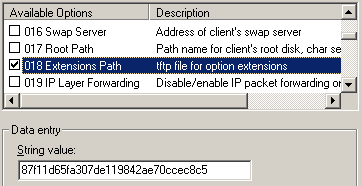 If router DHCP Relay is configured correctly, terminal sends request to WTware DHCP service. DHCP receives request and adds terminal to WTware configurator list of terminals. After that run configurator. Select terminal from terminals list (1). 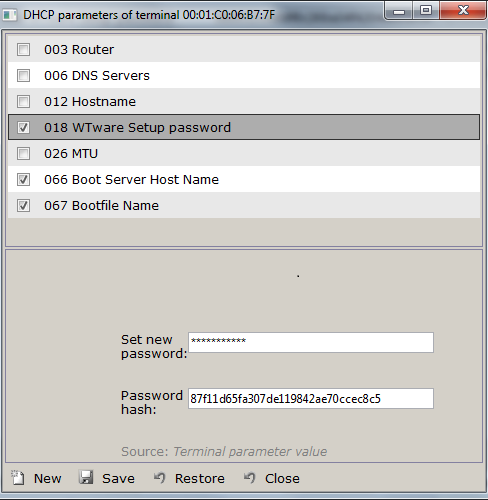 Select DHCP tab (2). Press "Change IP" button (3) and specify terminal IP address you need. 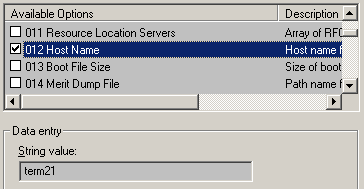 Configurator then reports, that specified IP address doesn't correspond to any interface on this server. As it should be for terminals behind routers, that connect DHCP through DHCP Relay. 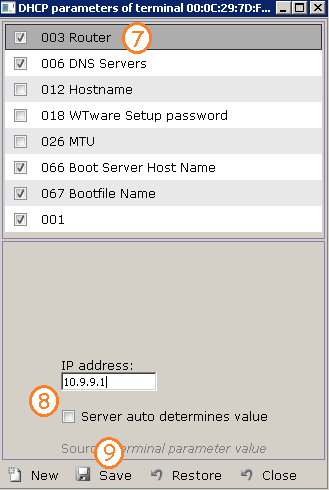 Then press "New" button (4) and add 001 parameter, terminal subnet mask (5, 6). 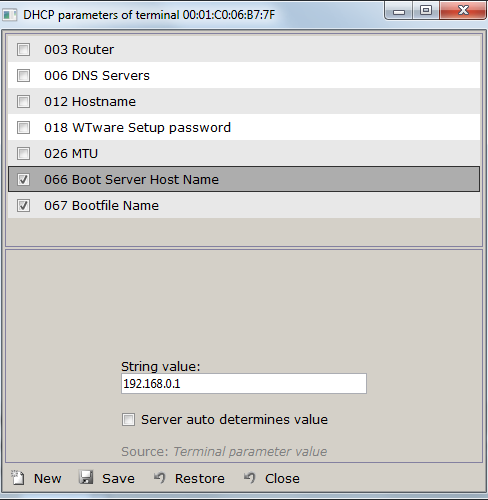 Select from DHCP parameters list 003 parameter, Router (7). 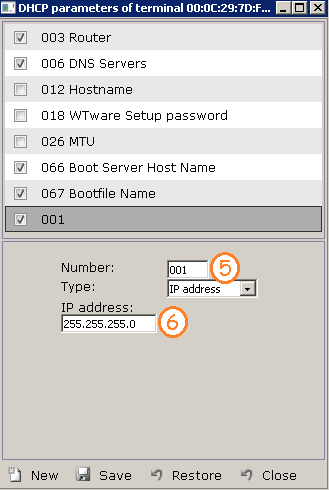 Untick autodetermine checkbox for router and specify correct router address for terminal (8). Router must be specified. Press "Save" (9) and close parameters window.